*Narrator voice* and no one ever saw their edges again. 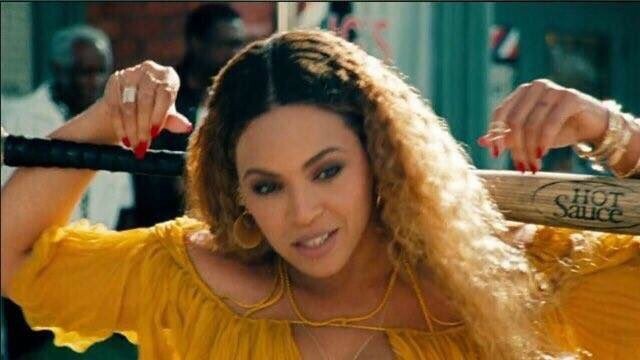 Our queen goddess Bey performed, like, half of Lemonade at the VMAs tonight, straight-up scalping everyone in the audience and at home. Here are some of the best Twitter reactions to her absolute slayage. Be gentle with me, Bey. 2. A quick peek behind the scenes. You say "Beyoncé will u do a VMA performance?" Bey rolls up day of: "Yes I will perform a 65 minute concert in the middle of the show"
3. There were uncomfortable truths everywhere. It's so crazy to see these other singers who get winded after 1 min next to Beyonce who can pretty much do it all and not break a sweat. 4. Our newly bald heads shone in the light of her fire. 5. And we must give thanks that this moment is immortalized. It's like her hips are not beholden to the laws of gravity. 7. Jay was nowhere in sight. 8. Oh, and she knocked over a camera with Hot Sauce. 9. And everyone felt all kindsa ways. 10. How did the show even continue after this??? 11. We are all bald as cue-balls. 12. You can imagine that backstage looked something like this. 13. No one was safe. 15. We were not prepared. 16. You know this is the truth. 17. Until next year, Bey.